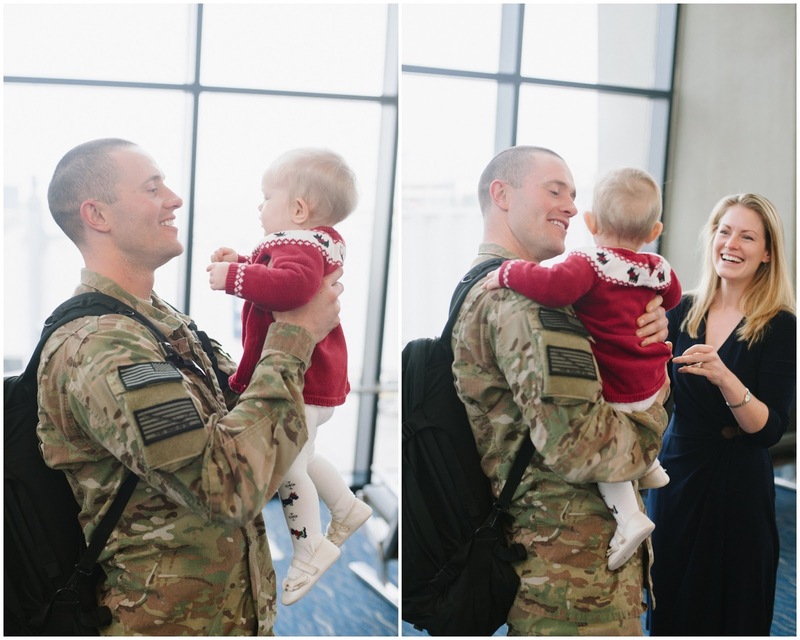 Bethany Cox, of Bethany Dan photography, started Welcome them Home. She explains, "it is a really special thing that has taken on a life of its own, which I adore. All I did was put a few things together and then the photography community embraced the opportunity." Well I had to know more about this great community of photographers and more about Bethany so I did a little Q & A with her. Make sure you go all the way to the end to see Bethany's Homecoming photos too! What inspired you to create this organization? "It's funny how simple it is. I was talking with my brother in law about doing more with each of our lives and how can we do for others, while using our gifts. 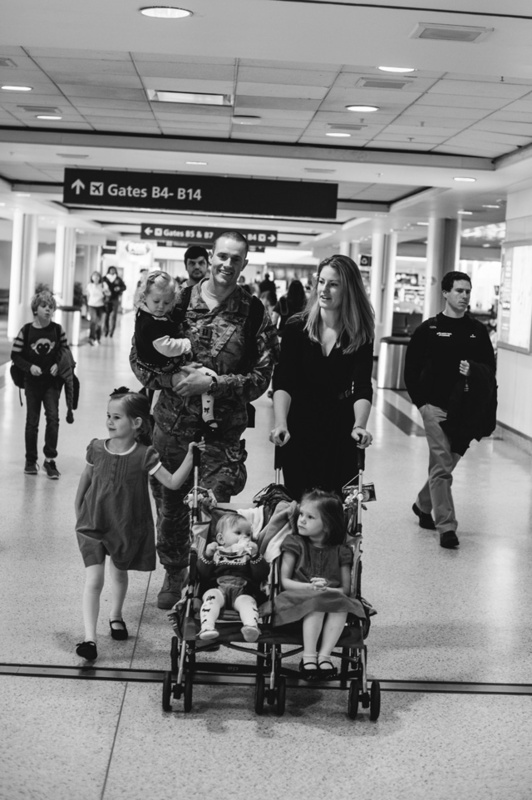 I mentioned that military homecomings have always been a soft spot for me, even though I had never witnessed one in person. The intensity of the emotions spoke to me even it was just watching strangers on TV. My brother in law encouraged me to try to photograph them somehow. The rest is God stepping in and giving me the tools and the personality to execute the goal. 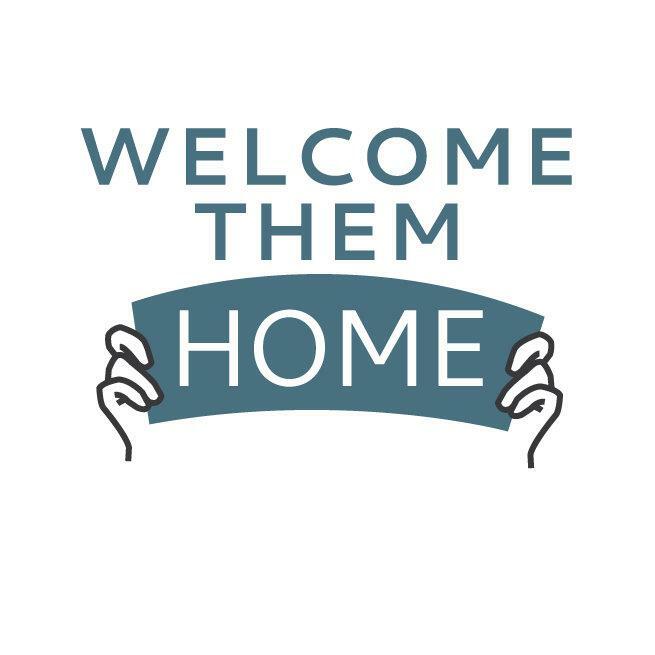 Now, I have Welcome Them Home up and running. Oddly enough, I have no real military connection other than stories told by my grandfathers and my husbands best friend being in the Army. 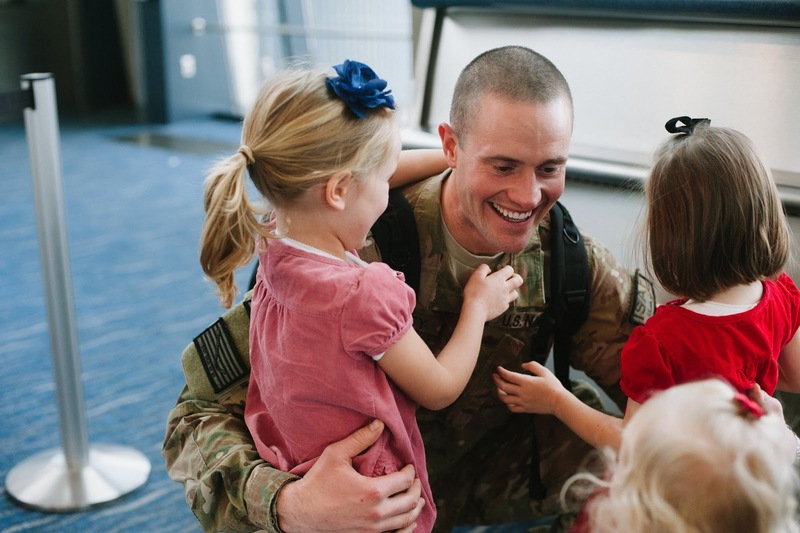 That is the extent of my personal connection to the military." What part do you play in running it now? 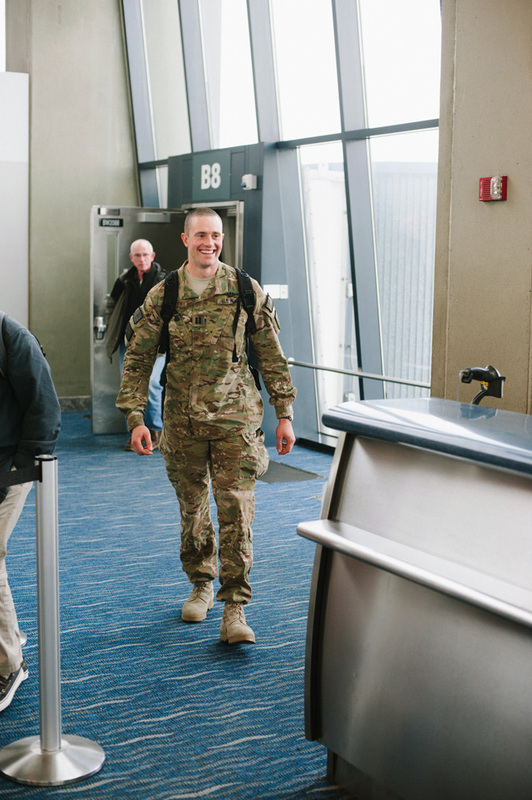 "As of right now, I am the only person behind the running of Welcome Them Home. My role essentially is to add photographers to the database/website, update the facebook page with photos as they come in, and answer questions that arise for both the families and the photographers. In the future I hope to have a more automated system for adding the photographers so that I can focus more on growing the organization, rather than just maintaining it. 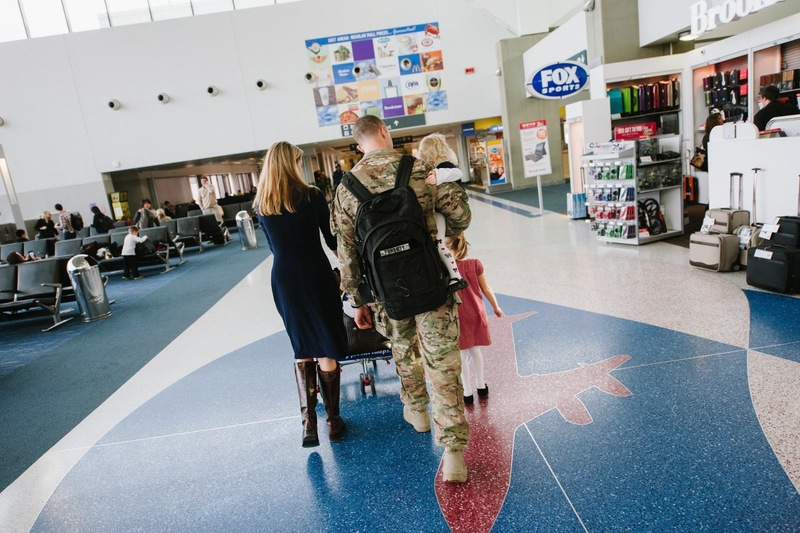 In my imagination, Welcome Them Home becomes a recognized organization by the Military and rather than just organic marketing, it is an integral part of the information handed to military families when they prepare for their soldiers homecoming." "Four months after we were married, we left Lubec, Maine on a 15 month journey, kayaking all the way to Key West, Florida along the Atlantic Coast. On our incredible trip, we realized that we wanted to be together all the time, not trading our numbered days for a number on a paycheck. We wanted to spend our days together. Our mutual love for art and for love itself lead us right here, to the medium of photography. As photographers and business owners, we knew we could spend our time together, make a difference in peoples lives, create art, and be in charge of our time." When you’re not working, what do you do with your time? "I am a confessed workaholic, but when I am overcoming that I like to go one long drives, listen to music loudly, and reorganize my house." Something my readers would be surprised to know about you? "I have a minor in music and a bachelor's degree in "Wilderness Leadership and Experiential Education." I'm a hippie in my heart." "Ordinary people who, in their brokenness, overcome. I love dreamers and doers. These people are my inspiration." What was your most memorable part of the homecoming? "For me, having only photographed one, it is definitely the moment they see one another, but right before they can embrace. I love the moments that are in between." 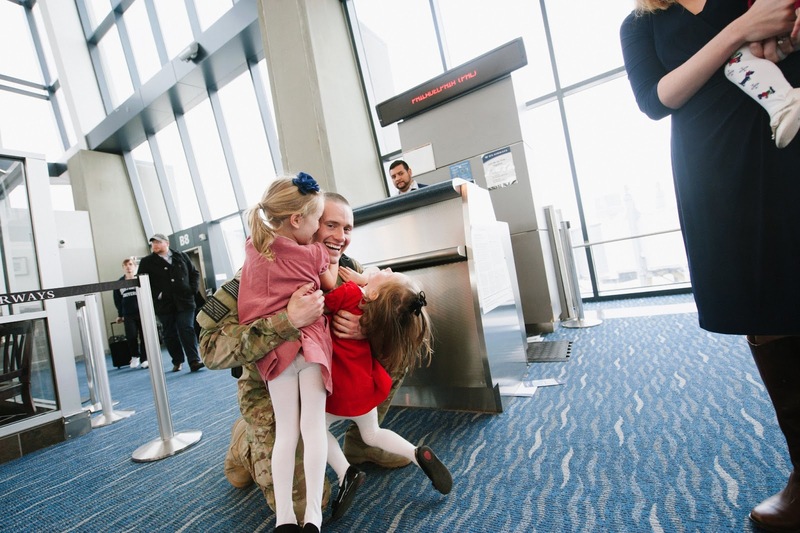 "I have ALWAYS wanted to photograph a soldiers homecoming since I became a photographer, and even before that really. 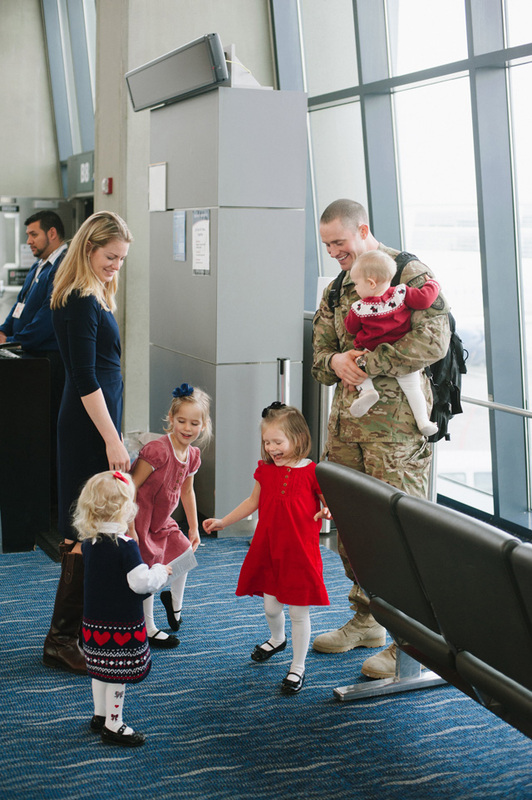 When Dan’s best friend James came home, I was able to photograph his wife and 4 little girls seeing Daddy after 8 month of deployment. 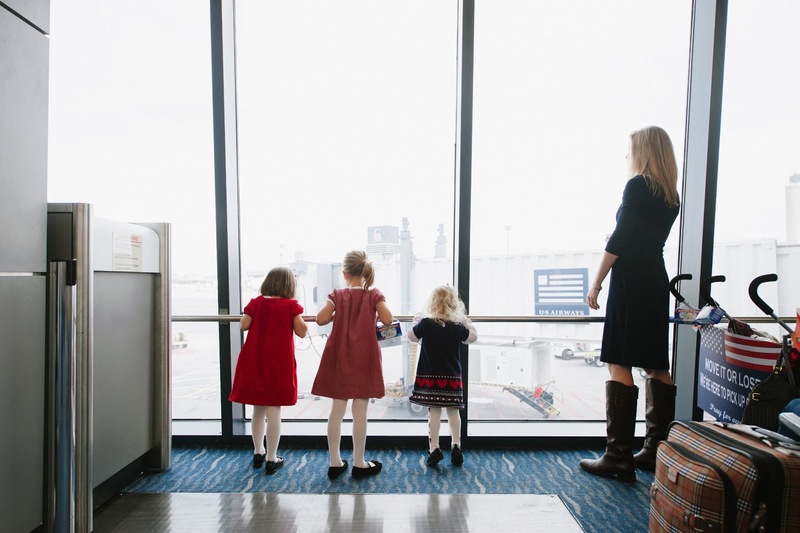 I sat looking out the window waiting to meet Meghan and her four daughters for the first time. She had contacted me two days prior about her husband Dave coming home… the day before Thanksgiving. As I waited to meet her, I was a ball of emotions, my eyes filling with tears even before we met. Of course I kept my composure when she met me, even though only moments before I was already overwhelmed. Her four daughters were immediately welcoming to me, which meant a lot since I felt like I was such an outsider in this priceless family moment. We were escorted to the ticket couter where we all received gate passes so that they could meet him right at the gate! 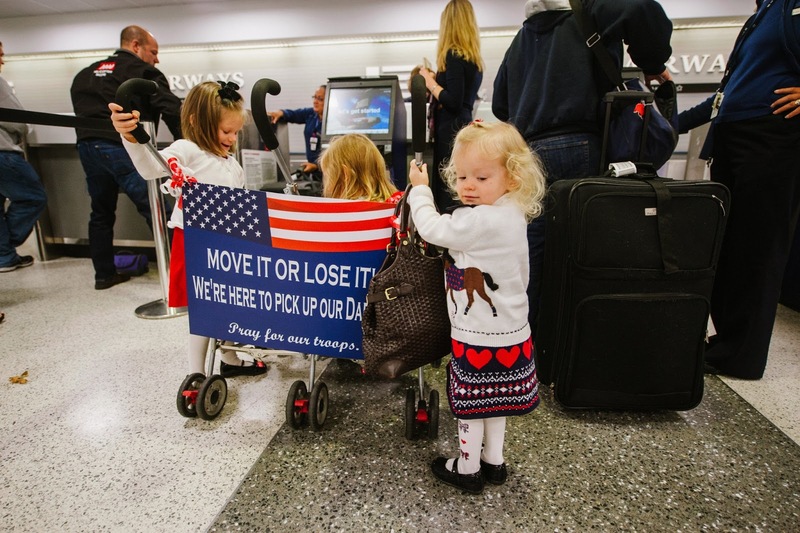 The minutes leading up to the arrival were like Christmas morning. 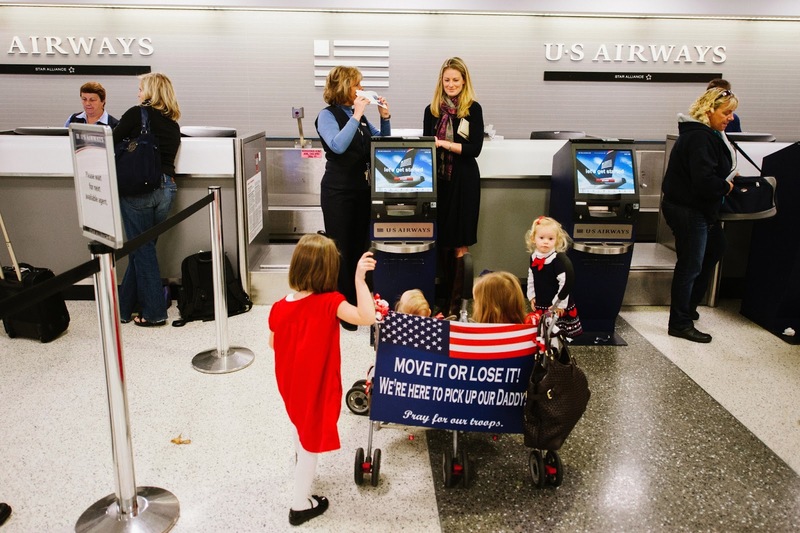 Tick Tock Tick Tock… When the plane finally pulled up, we quietly waited. Meghan was so gentle and patient, letting her girls express all the audible anticipation while she held the baby. I knew she was holding her composure for them. Dave came through the door and the explosion of happiness hit me like a wall. 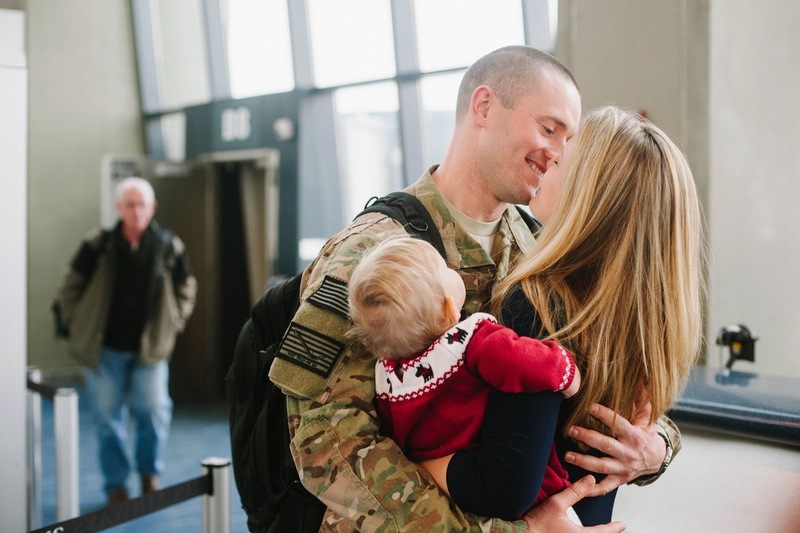 Hugs, Kisses, hugs, and more kisses… and or course tears… from all of us. I honestly cannot imagine how my holiday’s can be improved upon having been witness to this moment. Thank you Meghan and your little ones for inviting me along for this morning. Thank you Dave for your service." Gosh! That was so well written and explained about the anticipation and emotional roller coaster homecomings can be. Thank you Bethany for sharing this homecoming and for starting such a great organization!